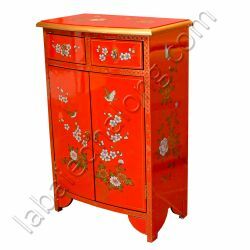 Furniture input chinese There are 39 products. 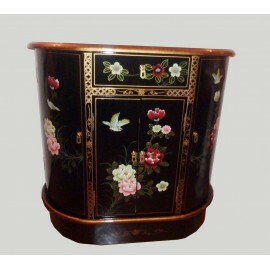 Furniture extra black lacquered with 1 shelf, central fixed..Dimensions: L43 x P30 x H76 cm. 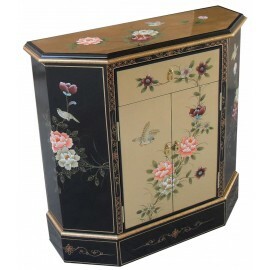 Corner cabinet chinese doors are curved.The inside of the doors of this furniture Asian painted floral motifs. Fittings-monuments chinese are brass.Dimensions: L46 x P46 x H76 cm. 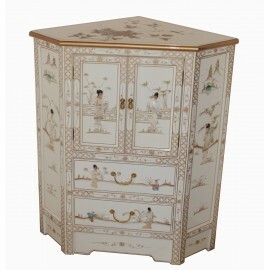 Corner cabinet chinese. 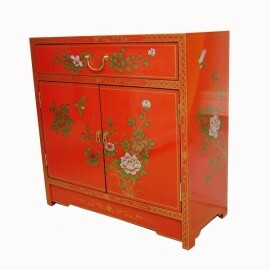 The inside of the doors of this furniture Asian painted floral motifs. 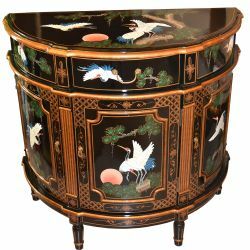 Fittings-monuments chinese are of brass, the inside of the drawers is covered with felt. 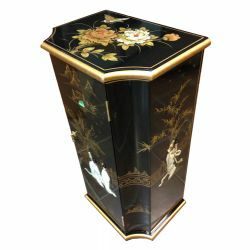 Dimensions: L84 x P58 x H99 cm. 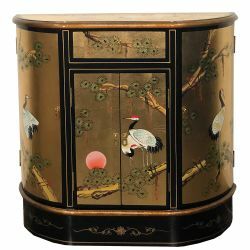 Furniture half moon gold lacquer motifs, birds cranes.Dimensions: L90 x P46 x H93 cm. 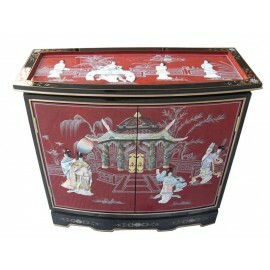 Buffet lacquered chinese.The drawer of this furniture of Asia is covered in felt green . 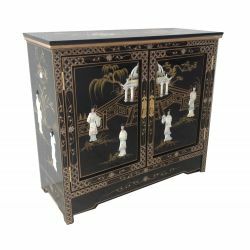 Fittings-monuments chinese are brass.Dimensions: L70 x P30 x H70 cm.